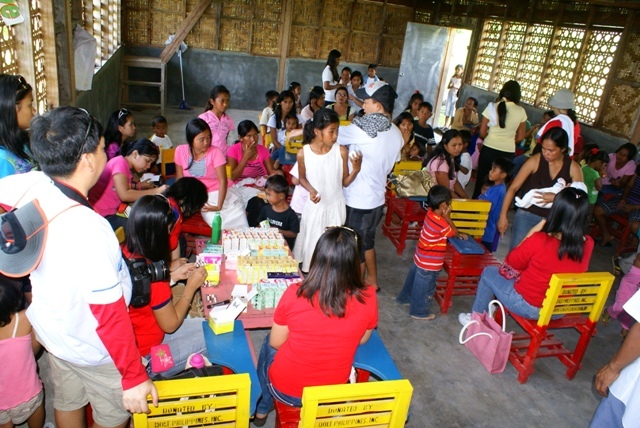 It has been my childhood dream to serve and although I don't have enough resources to help all the orphanages, home for the elders, the abused and the abandoned and the sick, I could only live each day with continued advocacy for good and healthy living through road and trail runs, out - reach activities to far - flung communities and victims of natural disasters, literacy and livelihood programs and committed teaching to young students. My latest advocacy is now raising hundred pairs of slippers and school supplies for the indigenous community of Pao - Pao Elementary School of Sinawal. And, when asked if I ever get tired, I could only say, "NO." It brings me a different kind of joy to help and I shall continue to help and with friends who share my advocacy, I know I can contribute to having CHANGE on earth.